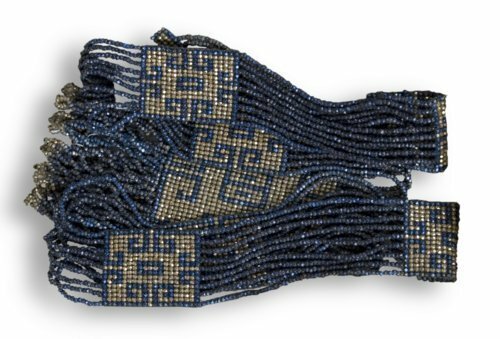 Pendant necklace of blue and gold steel beads woven together to form a pendant. Purchased by Ellen Nixon Hair in France during World War I. Hair was working as a Red Cross nurse when she bought this necklace from a Belgian soldier who sold it to benefit the wounded.